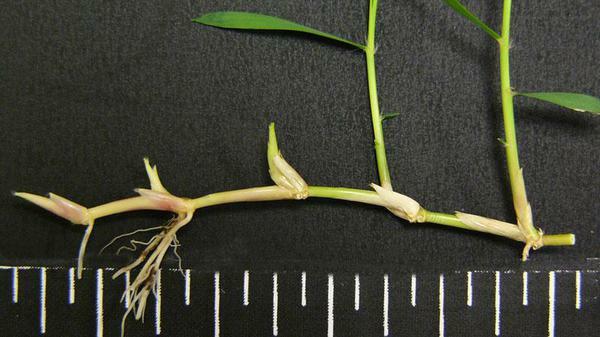 Zoysiagrass is a warm-season grass that spreads by rhizomes and stolons to produce a very dense, wear-resistant turf. It is best adapted to the Piedmont and Coastal Plain regions of North Carolina, but some of the more cold tolerant cultivars can be grown in the western part of the state as well. 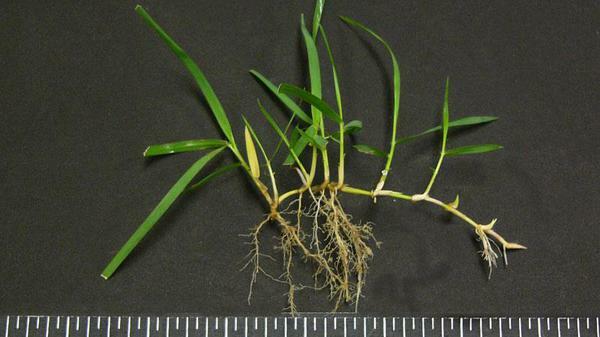 There are three major species of zoysiagrass suitable for turf: Japanese lawngrass (Z. japonica), mascarenegrass (Z. tenuifolia), and manilagrass (Z. matrella). 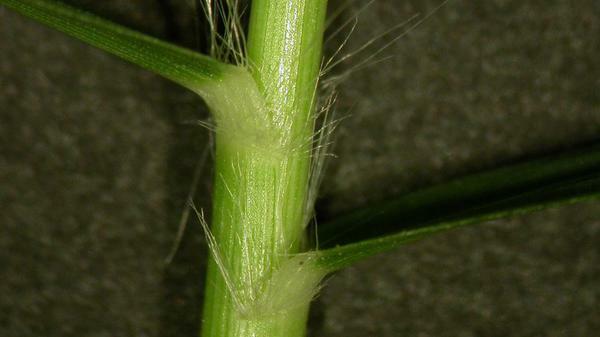 Zoysiagrass can often be confused with bermudagrass. 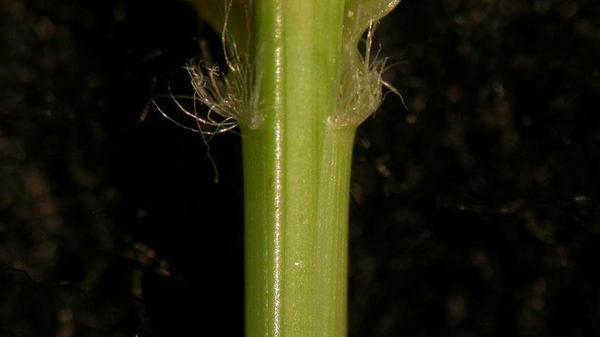 However, zoysiagrass has hairs standing upright on the leaf blade whereas bermudagrass does not. 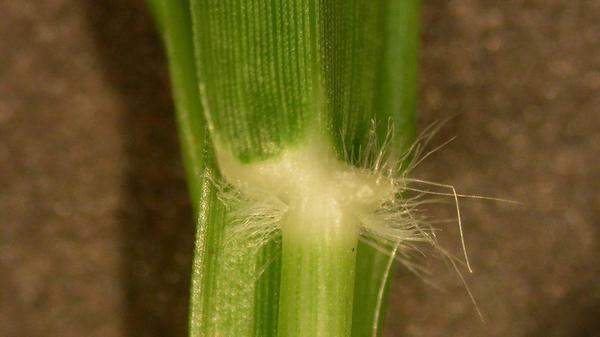 Zoysiagrass is also stiff to the touch and offers more resistance than bermudagrass. For a month-by-month zoysiagrass lawn maintenance calendar, see Zoysiagrass Lawn Maintenance Calendar, AG-432. Figure 1. 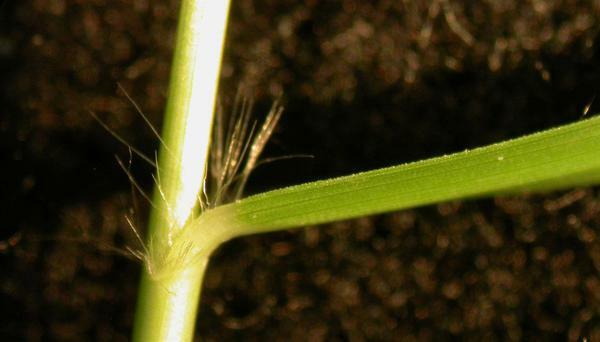 Zoysiagrass seedhead. Figure 2. Zoysiagrass vernation rolled. Figure 3. Zoysiagrass vernation. Figure 4. Zoysiagrass vernation. Figure 5. Zoysiagrass vernation. Figure 6. 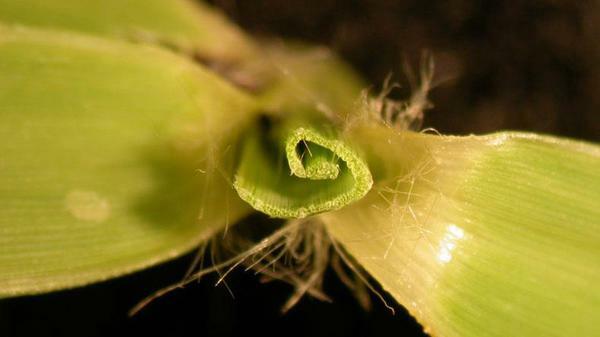 Zoysiagrass ligule short hairs. Figure 7. 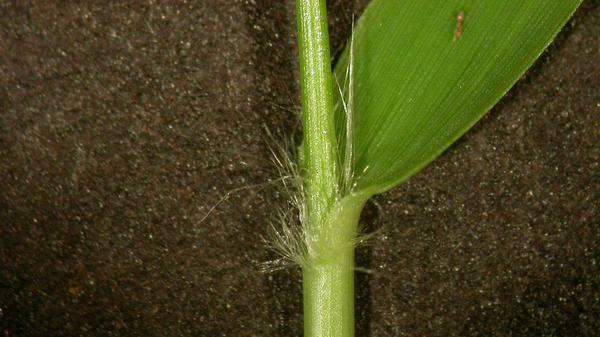 Zoysiagrass hairy ligule. Figure 8. 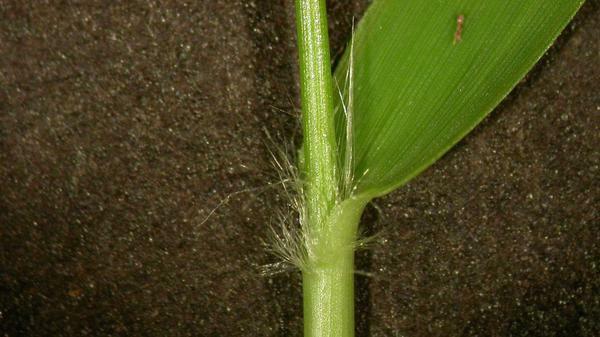 Zoysiagrass auricle. 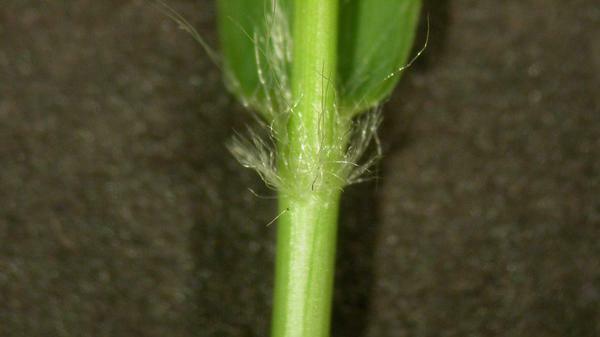 Figure 9: Zoysiagrass Auricle. Figure 10. 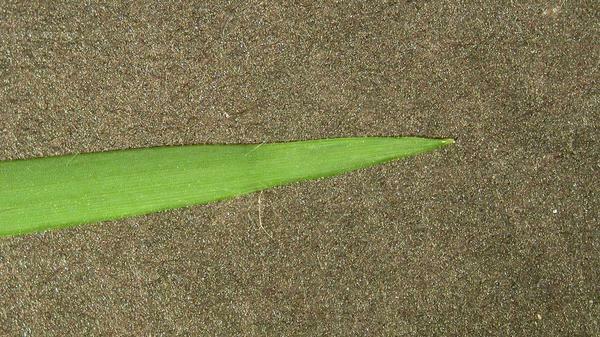 Zoysiagrass leaf blade tip shape. Figure 11. 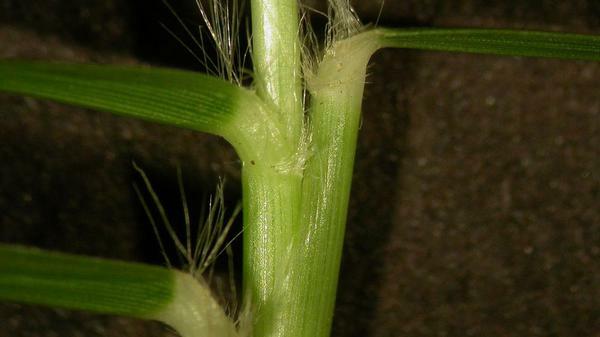 Zoysiagrass stolon. Figure 12. Zoysiagrass stolon. Figure 13. 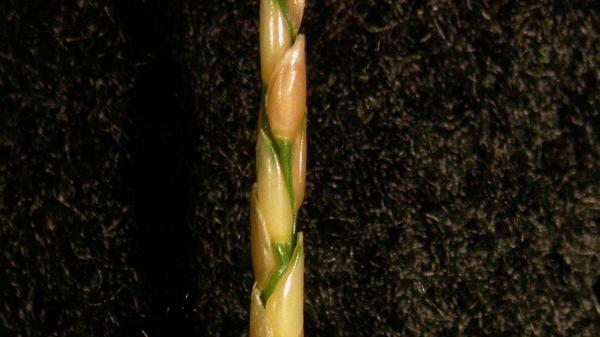 Zoysiagrass collar. Figure 14. 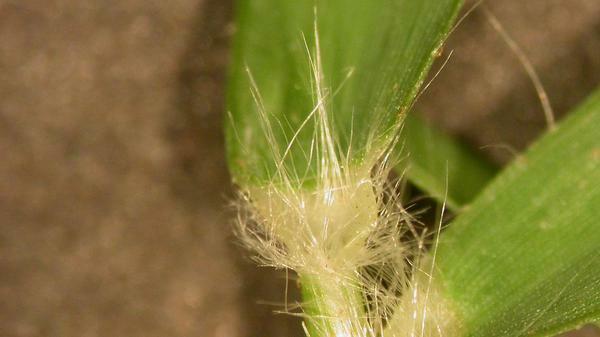 Zoysiagrass collar. Figure 15. 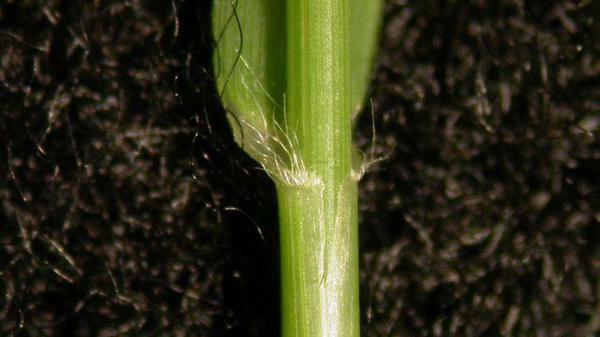 Zoysiagrass sheath. Figure 16. 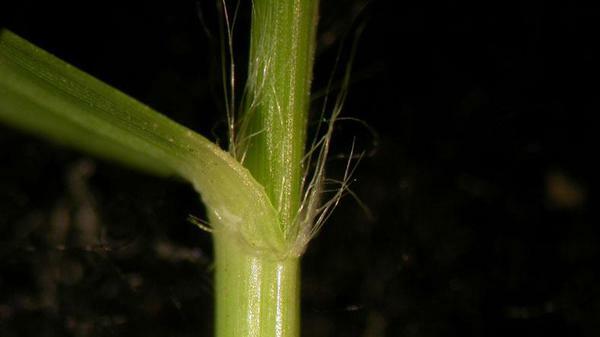 Zoysiagrass sheath.